Providing convenience and portability, Optical Surfaces offers a comprehensive range of fully enclosed pre-aligned reflective collimators. High stability and performance is achieved by a zero expansion off-axis parabola, manufactured to exacting standards. The optics within the instrument, are secured by the use of stress-free mounts and aligned in our laboratories for optimum performance. One major advantage of these collimators is that due to their achromatic design, they will perform at any wavelength from UV to IR. Optical Surfaces Ltd. has announced that it has delivered, to a leading European avionics / defence supplier, a 235mm clear aperture reflective collimator enabling the company to precisely measure the quality of their Imaging systems from the visible to the IR using Modulation Transfer Function (MTF) criteria. As the demand for higher quality, higher resolution optical systems for integration into sophisticated imaging systems has become more prevalent, many designers and scientists have chosen MTF measurement* as a flexible and accurate system characterisation tool. Reflective collimators are optical assemblies that take divergent or convergent incoming light rays and produce parallel light output. They can be used to replicate a target at infinity without parallax. Reflective collimators can be used to calibrate other optical devices, to check if all elements are aligned on the optical axis, to set elements at proper focus, or to align two or more devices. 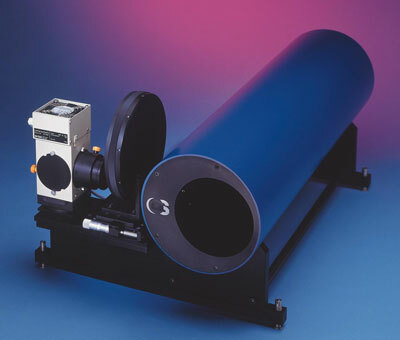 Reflective collimators are the optical system of choice for applications including MTF testing. Dr Aris Kouris, Sales & Marketing Manager at Optical Surfaces Ltd. commented ‘OSL was selected to produce the reflective collimator due to our willingness to collaborate with the customer to produce an ideal system for their project’. He added ‘Our heritage in supplying high performance off-axis reflecting reflective collimators and beam expanders to customers around the world is unique’. Optical Surfaces Ltd produced the required 235mm clear aperture reflective collimator with an output wavefront error better than lamnda/5 p-v and an off-axis optical design that produced no central obscuration and delivered highly efficient transmission. * The MTF is a measure of the ability of an optical system to transfer various levels of detail from object to image. Performance is measured in terms of contrast (degrees of gray), or of modulation, produced for a perfect source of that detail level.